BANGI, 30 Jan 2014 – The National University of Malaysia has risen to 19th spot in the 2014 QS Top 50 Under 50 ranking, the only Malaysian institution in the placings from its 23rd placing last year. The QS Top 50 Under 50 is compiled by QS Quacquarelli Symonds, which also produces the annual World University Rankings. QS Intelligence Unit head of research Ben Sowter said it considered all the 800 universities ranked in the 2013/14 QS World University Rankings for the Top 50 Under 50 which is specifically for universities established within the past 50 years. Sowter said UKM improved its position following three universities, the University of Warwick and the University of Lancaster, both in Britain, and the University of Macquarie in Australia dropped off the list after having passed their 50th year. 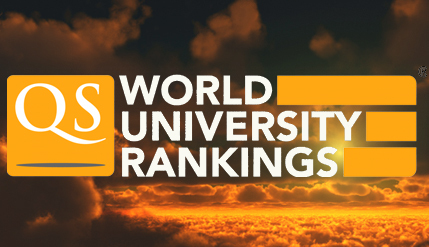 The University of Warwick was ranked third previously. He said the dynamic nature of the ranking makes it an interesting comparison with global and regional rankings. As the ranking is determined by age, institutions reaching their 50th anniversaries will drop off the list. Some of the universities that came before UKM last year also lost ground in the overall ranking this time, he added. Sowter said the Top 50 Under 50 is based on the methodology used to compile the annual QS World University Rankings, which comprise academic and employer reputation, faculty-student ratio, citations per faculty, international students and international faculty. Hong Kong University of Science and Technology tops the QS Top 50 Under 50 this year, followed by Nanyang Technological University in second place, the Korea Advanced Institute of Science and Technology and City University of Hong Kong.